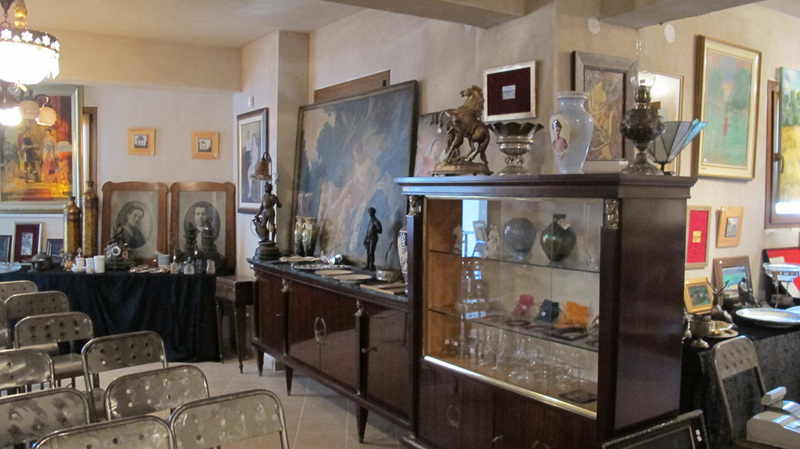 WE kindly invite you to attend the first auction for this season in Antiques House, taking place on October the 3rd, starting at 19.00 Special in this auction quality antiques of significant eras and styles will be sold in shockingly low starting prices. 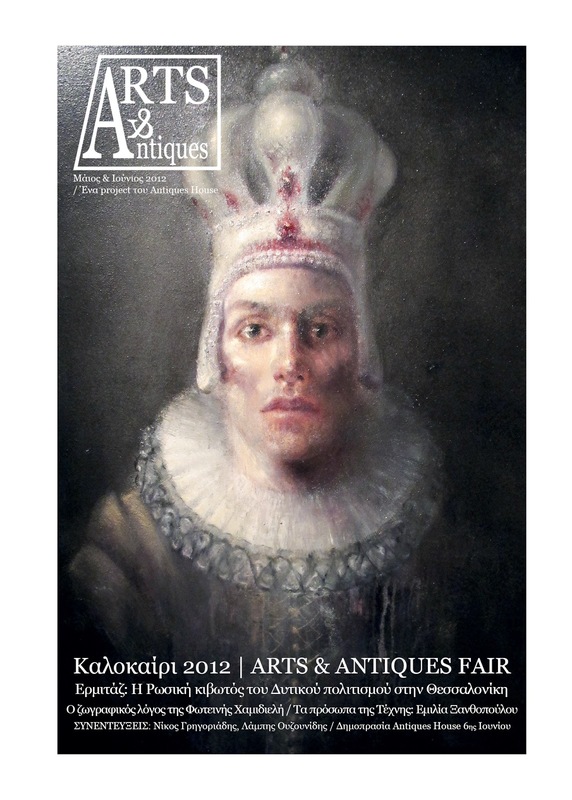 Please find all the items at our brand new English website www.antiqueshouse.gr. Every two months “Myrό Antiques House” holds an estate sale auction emphasizing in great artworks, antique furniture, old objects, rare books and antiquities, with a focus at art nouveau, art deco and Biedermeier periods. In this particular auction, a complete set of Anacharsis, is sold, in an 1790 print, which consists of the Atlas and 7 volumes in shocking starting price. There is no place over the web that this set can be found complete, at the 1790 edition, with all the books and all the engravings, in a price less than €1500, in a starting price €600. Also, desk clocks with remarkable by-standing sculpted accessories and statues -especially originals of art deco period, philatelist collections, and, a clavichord - an extremely rare musical instrument with an embedded painting of R. Whistler. Last but not least, there is a great painting, very close to the original Millet's painting "Les Glaneuses". It is shocking that the work is of the same era, circa 1860. Signed and lacking maintenance. It could be the signing student or someone who painted the same painting in the same time as Millet. It is extremely rare to find the same panel and the same theme, painted in the same year. I would not be surprised if after maintenance and research, the painting would exceed a value of 30000€ to 40000€ (in the light of the recent discovery that an acknowledged copy of Giokonta, proved to be an authentic double!). Dimensions of frame: 126cm (width) x 106cm (height). Dimensions of piece: 90cm x 70cm; starting price: €3500. More than 300 lots are expecting to be claimed by the bidders. Bidders must carry their identity card or passport, should come to the auction site at least a half hour earlier to register, and, they either pay and get everything they buy during the auction on site, or, alternatively, come and get it / arrange their transfer with a minimum cost, within the next two weeks. It is worth noting that the auction items are on exhibition in the auction a month earlier, to enable the participants to examine up close. If you wish to come with your own car, please read at the page "Contact & Venue" at our website. However, we can bring you to the auction venue from the center of the Thessaloniki (Lefkos Pyrgos area) and back there after the end of the auction with our luxurious bus, which leaves at 18.00 sharp: contact us to reserve seats for you and your friends. Moreover, attendants can be present at the whole of the procedure without registering or bidding, as observers, for free, with no cost. The language of the auction is greek, but assistance with translators for non-greek speakers is available upon request; contact us before the auction day to make use of this. 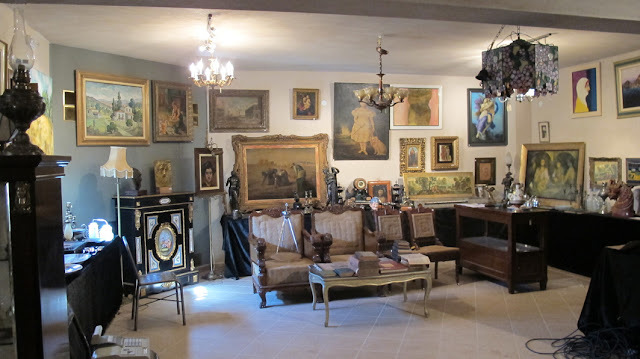 In addition if you have items you are thinking to sell through our auctions, please contact Mr. Stavros Muronidis (info@antiqueshouse.gr or by calling at 0030 6971890212).